Below are links for Raleigh Rambles posts on Black Mountain College, the unique seminal educational experiment which existed near Asheville from 1933-57, and emphasized art as a central part of a liberal arts education, followed by a couple of anecdotes relaying my interactions with BMC alumnae. Lab School, Washington, D.C. 1992. Inaugural workshop of “The Power of Art,” conceived, funded and presented by Mr. Rauschenberg. We spent the day with him! The Lab School is for kids with learning disabilities – Robert Rauschenberg found out as an adult that he had a learning disability ( as distinguished from being what he thought was “stupid”) from Sally Smith, founder of The Lab School. He became a supporter of the school, and the “Power of Art” program, of which I was a charter participant, rewarded art teachers who worked with that that population. Mr Rauschenberg treated us to a presentation along with his assistant, gave us signed posters, a five hundred dollar gift certificate to Jerry’s Artarama,and sat and listened to each of us present about our work. That evening, we were feted at a private reception at the National Gallery’s East Wing, and Mr Rauschenberg favored us with a tour of his own work on the walls. He discussed his decision to create the “white painting” while at Black Mountain (Josef Albers thought it a needless extreme), and he gave a vivid description of painting the huge 25 foot work which was on display in the main room -smearing his hands with the white lead paint for hours and then having to go into immediate treatment for weeks because of the lead poisoning. He was charming and down-to-earth, yet fragile and a bit ethereal in his personal presence. That was a wonderful day. 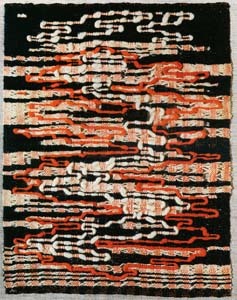 The program is named for a designer who exemplifies the ideals and goals to which the program aspires: textile designer and artist Anni Albers. NCSU’s Gregg Museum oversees a number of archives, exhibits and events. Clyde took me to see the huge mail art retrospective at The NC Museum of Art in 1976, when it was still located in downtown Raleigh. Richard C, a curator there and a friend of Ray’s, had arranged the show. I went back to Greensboro dreaming of many new possibilities, having seen that stunning, killer show. I had never heard of the term “zine,” but I gathered writings from my friends and creative cousins and put one together. 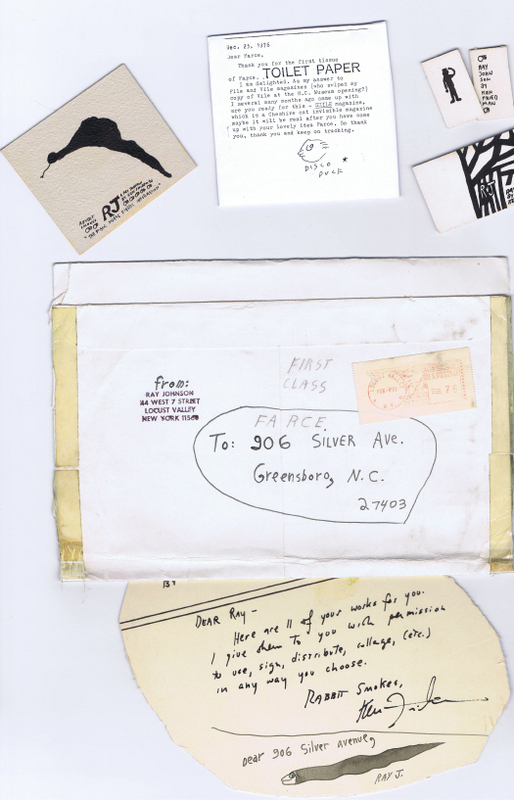 Ray Johnson, whose address was all over the catalog of the show, was first on my mailing list. Of course, he wrote me back. Again, a galvanizing energizing moment in my creative life. I was quizzed indeed to open the dozen or so ink works on board by Ken Friedman he sent me, folding Ken’s envelope in half and sending the whole batch my way. I figured Ken was a fan, which perhaps he was, though he has gone on to some fame himself as a correspondance artist. I followed Ray’s directions to send off to Richard C the torn out page from a European magazine he sent the second time, and that was the last I heard from him. Richard C and I became friends, and in 1987 I had a show of his mail art at The Paper Plant. Below are some collaged bits of Ray’s sendings to me. …this unusual, varied, and exciting collection of art collected by one of the finest poets of his generation, Jonathan Williams. Details below. If you can kill a snake with it, it ain’t art is an exhibition of work from the personal collection of acclaimed poet and Jargon Society Press publisher Jonathan Williams, a native North Carolinian. Williams, who passed away in the spring of 2008, was a student at Black Mountain College where he studied with many of the great American artists of the mid-20th century. The more than 100 handsomely designed books that Jargon has published in its 55-year history stand as one enduringly significant testament to the range of Williams’ visual interests.. While the books of the Jargon Society have been the focus of several exhibitions over the years this exhibition, which was first shown at the Turchin Center for the Visual Arts, is the first to focus on Williams’ wide-ranging art collection. and a selection of limited-edition books that Williams has published under the Jargon imprint. The exhibition’s main title is a quotation William’s attributes to photographer Orcenith Lyle Bonge, who was among Williams’ fellow students at Black Mountain and is represented in the exhibition. Guest curator Tom Patterson and poet Thomas Meyer will be present at the opening and will say a few words in homage to Jonathan Williams. North Carolina poet Jonathan Williams (1929-May 2008 collected things that captured his visual attention and imagination for most of his life, and especially since the beginning of the 1950s, around the time he dropped out of Princeton University and found a more suitable educational niche for himself closer to home at Black Mountain College. photography, and his desire to study with photographers Harry Callahan and Aaron Siskind led him to Black Mountain, where they both taught that summer. Black Mountain would only survive for another five years before closing its doors, but the friendships and associations that Williams formed there played a big part in determining his future. Williams thereafter began to concentrate much of his attention on developing his own poetic voice and–under the imprint of his pioneering Jargon Press–publishing the poetry of Olson and other avant-garde writers of the time. But Williams also continued to make photographs and otherwise to maintain an active engagement with visual art and artists. Guptill Publications, New York, 2001). As executive director of the Jargon Society and the director of its Southern Visionary Folk Art Project from 1984 to 1987, Patterson worked collaboratively with Jonathan Williams. 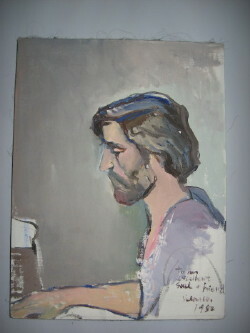 He has enthusiastically followed Williams’ work since their first meeting in 1974. The Green Hill Center for North Carolina Art is located at 200 N. Davie Street in the Greensboro Cultural Center in downtown Greensboro across from Center City Park. With a mission to represent and promote North Carolina artists, the Green Hill Center has been a Greensboro institution for more than 30 years. Green Hill houses over 7000 square feet of gallery space, a sales shop, and ArtQuest, a giant, hands-on art studio for children and families. For more information, call (336) 333-7460 or visit http://www.greenhillcenter.org/. I can’t believe how lucky you are to have corresponded with Ray Johnson. Your scans and story made my day. I’m super excited to be attending the opening of his Black Mountain show in Asheville.